Home » CSCS Exam Tips » What Do You Know the Personal Protective Equipment (PPE) on the Construction Site? On any industry in the world, the health and safety issues are always important for employers and employees. In order to avoid risks and hazards from working environment that each workers who is often required basic knowledge on the construction to work well in their trade. If you are working on the construction site that you should know what the term Personal Protective Equipment (PPE) is. Actually, it is designed for workers while they are working on their site in order to protect themselves from the risks and hazards to health and injuries. Just like any industry, each worker has to be protected by the personal protective equipment such as safety gloves and footwear, hard hats, high visibility clothing and eye and ear protection, and so on. At work, the risks should be surly assessed to consider other methods of carrying out hazardous work before using PPE. Thus, here we offer some guidance on the main considerations to help you have a right direction in your working in the safety. Please click here to get further information of Cscs. On any working environment, especially the working industry environment that a risk assessment is always necessary and important for employers. When assessing risk that employers who can know about the level of risk to health and safety in order to make solutions while directly involving people as like using machinery instead of personnel in a particular environment. For construction industry site, the type of PPE should be certainly assessed because on the construction site where there are clearly lots risks during working, however, the machines cannot completely replace workers, so the safety to workers which is seriously assessed. 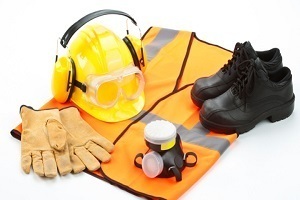 What Are Personal Protective Equipment Types? The safety in work environment which is necessary to reduce the accidents and prevent injuries from protecting personnel away the risks. On the construction site, PPE is available to cover the majority of risks. During working on the construction site, most workers who have always the use of hard hats, safety boot and gloves. Especially, the noisy of equipments and eye protection are often required. In general responsibilities, both employers and employees who always have to ensure the safety in their working environment to reduce the number of accidents and injuries and also prevent the risks and the hazards. It is essential to supply appropriate PPE for all workers throughout they are working. Actually, the employee’s plays always important role in helping to ensure a safe working environment by reporting safety equipment that appears to be damaged or unsuitable for the job in hand. Addition to this, they should also only use any PPE in accordance with the training they have received in its use and be aware of other workers who are in the immediate area. If you often handle chemicals in your workplace that you should consider this information. Actually, chemicals can be classified such as corrosive, being toxic, and a risk of irritation. There are a lot of risks and hazards from these that workers who are always requested the use of these materials and the appropriate PPE suitably. In addition, to support employers in assessing the risks chemicals labelled with details of their composition and the hazards that they present. Moreover, chemical manufacturers also issue Material Safety Data Sheets which give further guidance on the safe handling of their products and these sheets should also be consulted when considering personal protective equipment requirements. The health and safety issues is always attended on the construction site. For using machine operators that the risks and the hazards from machine operators should be considered for people who work usually with this machines. Consequently, While using the machine operators, all workers should be required the use of personal protective equipment such as boots and ear defenders, safety gloves, especially, eye protection will be used when using operators because of the form of goggles or even full-face masks. Moreover, a respirator or breathing apparatus should be especially considered because the environment in the vicinity of machinery is often dusty. The construction building is a occupation that construction workers always face lots risks and hazards rather than other areas. Thus, the use of personal protective equipment should be especially considered to ensure a safe working environment to workers. When the use of PPE is always carried out by both employers and employees that helping reduce the risks at work. An other hand, PPE should be regarded as a last resort and other ways of carrying out a job need to be fully explored before making a decision to provide workers with protective clothing or equipment. To help employers and workers to get fully understanding the various types of PPE for its use that you can consider getting more information at Health and Safety Executive (HSE). Moreover, if you are considering applying for a construction work that we offer various free online CSCS mock test questions and full answers to help you practice easily to pass successfully the Cscs test soon.